Labor alliances, Manila Workers Unity (MAWU) and Alyansa ng mga Manggagawa laban sa Kontraktwalisasyon (ALMA Kontraktwal) lead workers of Manila Harbour Centre and Philippine Matches Corporation in a protest rally today at the Department of Labor and Employment (DOLE) office in Manila to mark the scheduled signing of President Rodrigo Duterte’s Executive Order (EO) on contractualization. 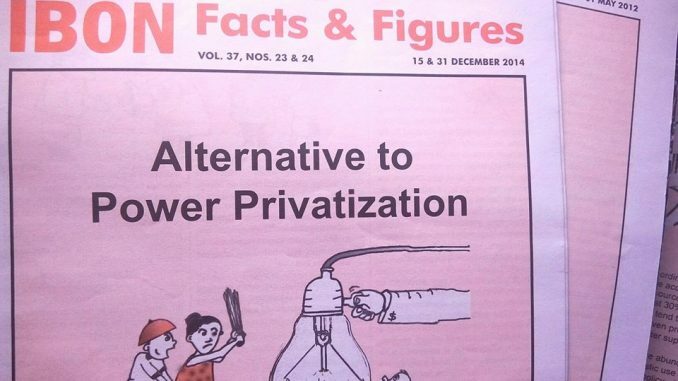 The groups said that they remain hopeful that Duterte will no longer postpone the signing of his EO and reiterated their demand for him to sign a “pro-workers and no compromise EO against contractualization.” MAWU and ALMA Kontraktwal insisted that they could no longer accept another delay in their much-awaited signing of the said EO. Protesters also urged Duterte not to dare sign the EO lobbied by capitalists and big businesses nor water-down the EO version submitted by various labor groups. They stressed out that “only an EO that will totally prohibit and criminalize all forms of contractualization, end of contract agreement and labor-only-contracting policies” would be the only acceptable version for them. “We have waited so long enough for President Duterte to decide on the issue of contractualization. We have long been hoping for him to fulfill his campaign promise to totally ban contractualization and take the side of the millions of Filipino workers across the country,” said Eldefonso Bello, spokesperson of MAWU and president of Samahan ng mga Manggagawa sa Harbor Centre. 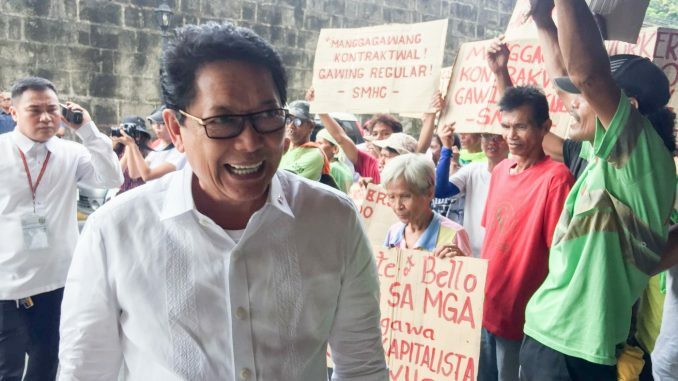 “Ending and penalizing contractualization would be the best gift of Duterte to all Filipino contractual workers for the upcoming International Labor Day on May 1,” said Bello. 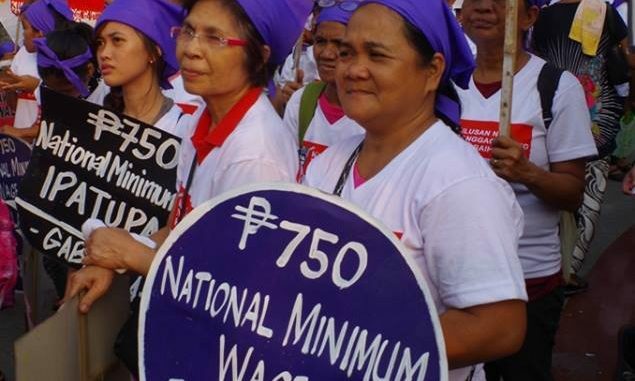 MAWU and ALMA Kontraktwal said that the Duterte government must have a change of heart and mind on its earlier pronouncement that it can’t do nothing to totally end contractualization in the country and a ‘compromise’ must be made in order for the workers and capitalists’ interests meet. “A compromised EO will not benefit the Filipino workers. A compromised EO will mean nothing but an escape for capitalists to justify and prolong its long-drawn contractual practices,” said Garcia. The post Protest marks Duterte’s scheduled signing of EO on contractualization appeared first on Manila Today.